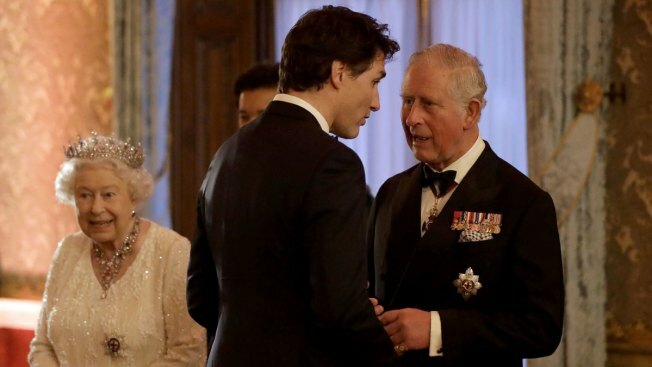 Britain's Prince Charles (right) greets Canadian Prime Minister Justin Trudeau (center) beside Queen Elizabeth II in a receiving line for the Queen's dinner for the Commonwealth heads of government meeting at Buckingham Palace on Thursday, April 19, 2018, in London. Prince Charles has spent a lifetime waiting to be king, the job he was born to do. On Friday the 69-year-old heir to the British throne got another position to wait for — he was approved as the next head of the Commonwealth made up of the U.K. and the countries that once were its colonies. Commonwealth leaders meeting in London confirmed that the next chief of the 53-nation group "shall be His Royal Highness Prince Charles, The Prince of Wales." That won't happen until he succeeds his mother, Queen Elizabeth II, as monarch when she dies. British Prime Minister Theresa May said the decision was unanimous, although it had not been a foregone conclusion. 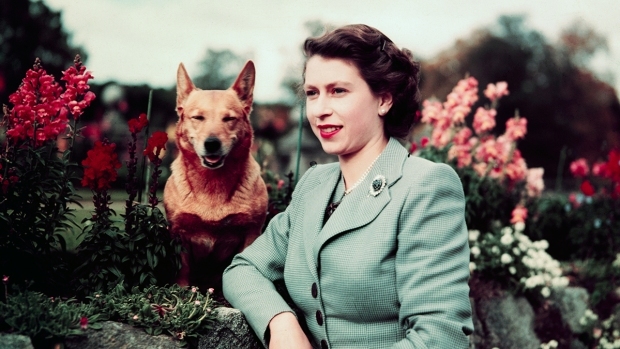 Elizabeth, who turns 92 on Saturday, has led the Commonwealth since she became queen in 1952. However, the position is not hereditary, and some people have suggested a non-royal leader would give the group a more modern profile. 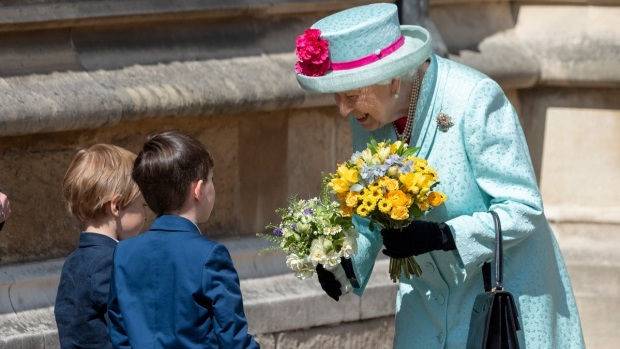 But any opposition was squelched by an intervention from the queen, who told the gathered leaders on Thursday it was her "sincere wish" that Charles would one day carry on her Commonwealth work. On Friday, Britain's May described Charles as "a proud supporter of the Commonwealth" and said "it is fitting that one day he will continue the work of his mother." The position is largely symbolic, but the queen's commitment has been a major force behind the survival of the Commonwealth. She has visited almost every member country, often multiple times, over her 66-year reign. Charles is almost as well-traveled as his mother, and is a longtime champion of environmental causes, a priority for the Commonwealth. Its members include small island nations in the Caribbean and Pacific that are among the countries most vulnerable to rising seas, fiercer storms and other effects of global climate change. Leaders at the meeting signed a "blue charter" to protect the world's oceans and committed to stronger cybersecurity and freer trade. Philip Murphy, director of the University of London's Institute of Commonwealth Studies, said Charles' political passions could hold peril for the Commonwealth. 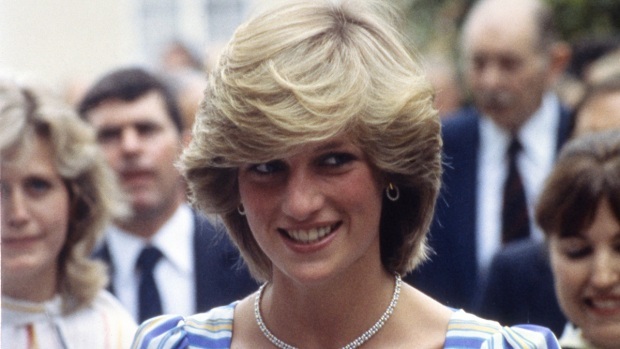 August 31, 2017, marks 20 years since the car crash that killed Princess Diana, her partner, Dodi Fayed, and their driver, Henri Paul, in Paris. British princes William and Harry spoke to the BBC about the hardship of losing their mother, how they feel about the paparazzi and their relationship with their father, Prince Charles, on the days following Diana’s death. "We know the queen is very proper and discreet and doesn't push her own political ideas, but that's not true with Prince Charles," Murphy said. "And there is a danger that he might use that greater leeway to promote controversial ideas of his own, and that could be damaging." Britain has tried to use the biennial heads of government meeting to reinvigorate a disparate group that takes in 2.4 billion people in countries from giant India to tiny Tuvalu, and has struggled to carve out a firm place on the world stage. The next summit, in 2020, will be held in Rwanda, which was never a British colony but has been persuaded to join the club. Former Portuguese colony Mozambique is also a Commonwealth member, and Togo is considering joining. British officials have been paying more attention to the Commonwealth since the U.K. voted in 2016 to leave the European Union. The Commonwealth could provide a platform for British diplomatic and cultural clout outside the EU. Britain laid on a lavish royal welcome for Commonwealth leaders, including a banquet at Buckingham Palace, the use of Windsor Castle for meetings and the deployment of royal glamour couple Prince Harry and Meghan Markle to a series of events. But the summit was overshadowed by an uproar over the treatment by U.K. immigration authorities of some long-term British residents from the Caribbean. May and other government ministers have apologized repeatedly after it emerged that some people who settled in the U.K. in the decades after World War II had recently been refused medical care or threatened with deportation because they could not produce paperwork to show their right to reside in Britain. The government says they accidentally fell afoul of new measures intended to prevent illegal immigration. But opposition politicians say the treatment of the "Windrush generation" — named for the ship Empire Windrush, which brought the first big group of post-war Caribbean immigrants to Britain in 1948 — is cause for national shame. May said Friday that Britain would do "whatever it takes," including paying compensation, to make amends. "These people are British," she said. "They are part of us. They helped to build Britain, and we are all stronger for their contributions." Pan Pylas contributed to this story.